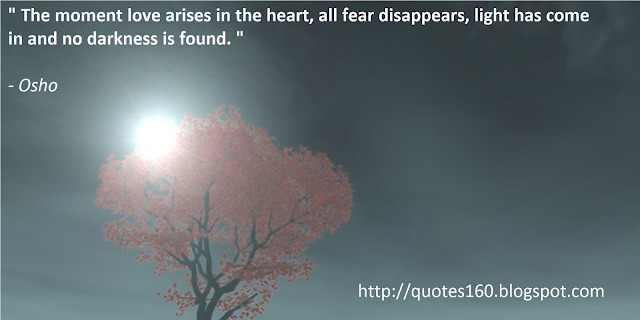 " Love knows how to forgive. 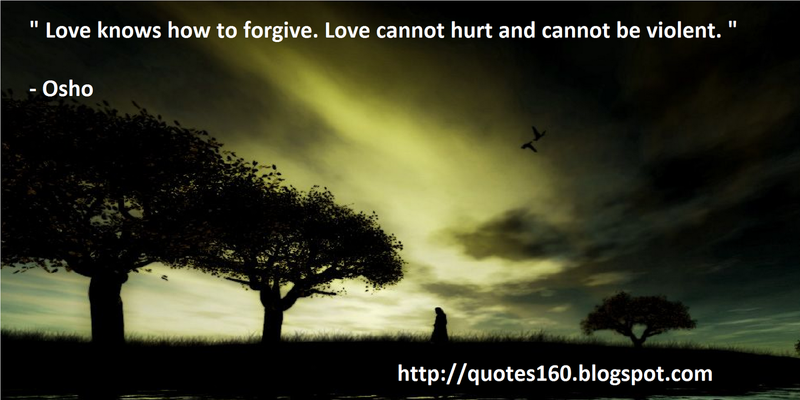 Love cannot hurt and cannot be violent. " 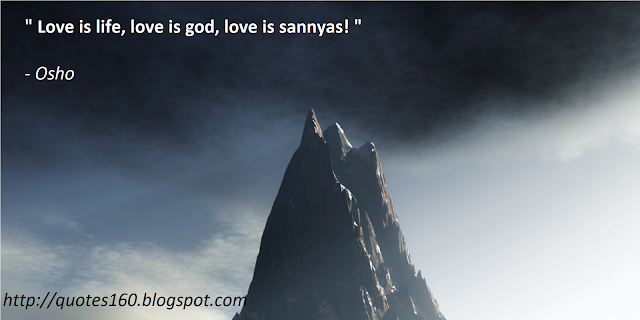 " Love is life, love is god, love is sannyas! " " The moment love arises in the heart, all fear disappears, light has come in and no darkness is found. " " Practise love. Sitting alone in your room, be loving. Radiate love. 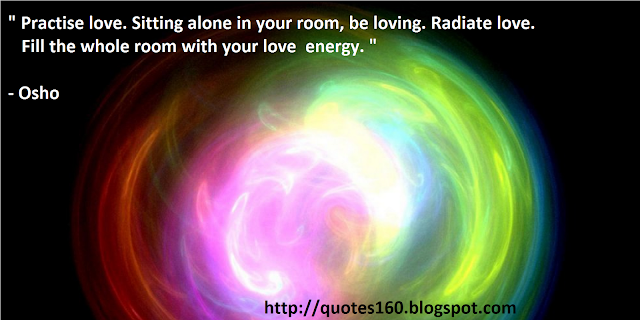 Fill the whole room with your love energy. " 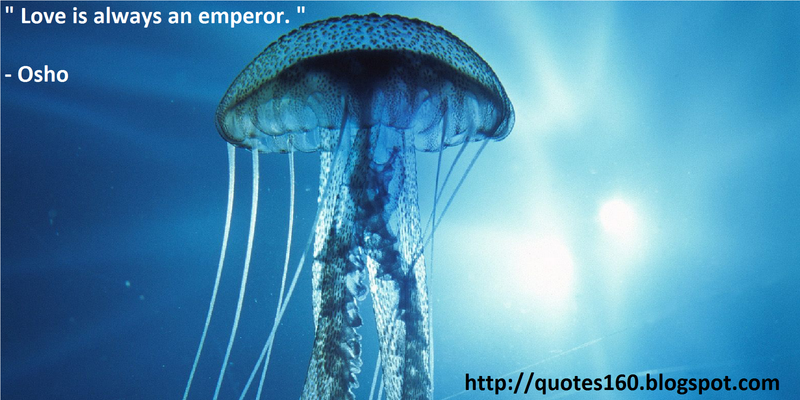 " Love is always an emperor. " 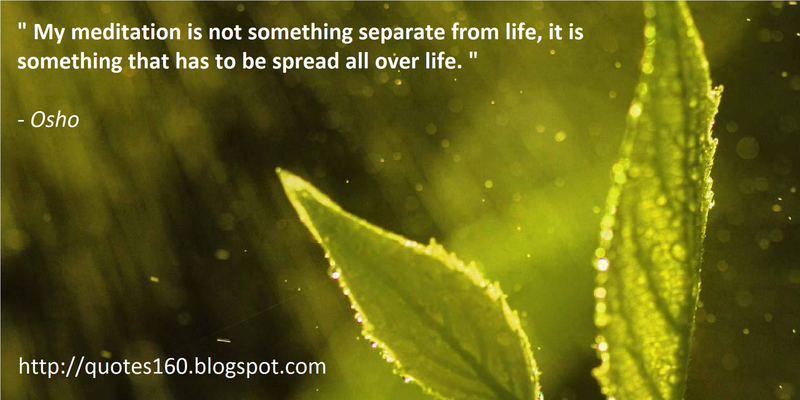 " My meditation is not something separate from life, it is something that has to be spread all over life. " " When you are in love, language is not needed. 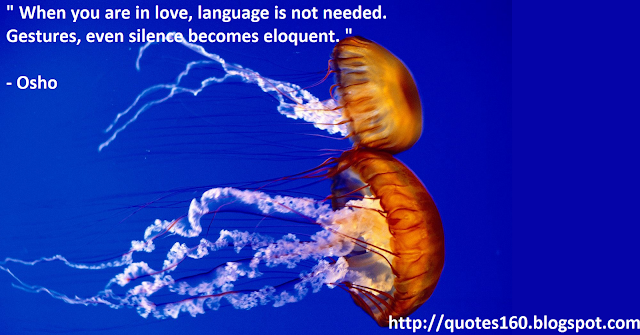 Gestures...even silence becomes eloquent. " " Don't choose. 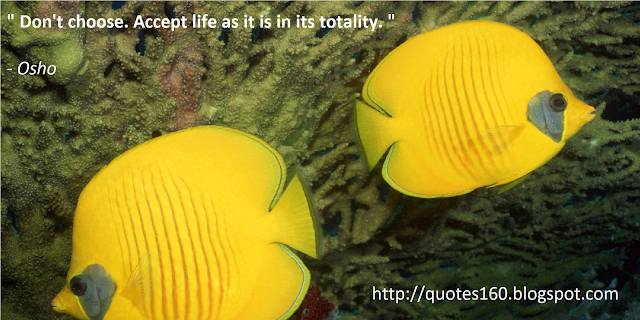 Accept life as it is in its totality. "